Your iPhone is already a pretty decent mobile camera. Use it the right way and you can capture awesome photos and videos with it. The AB Grip is one of many accessories iPhone owners can pick up to use their device more like a camcorder. For starters, it holds your phone in landscape position and lets you control it with ease. The AB Grip enables you to take more stable videos and photos. 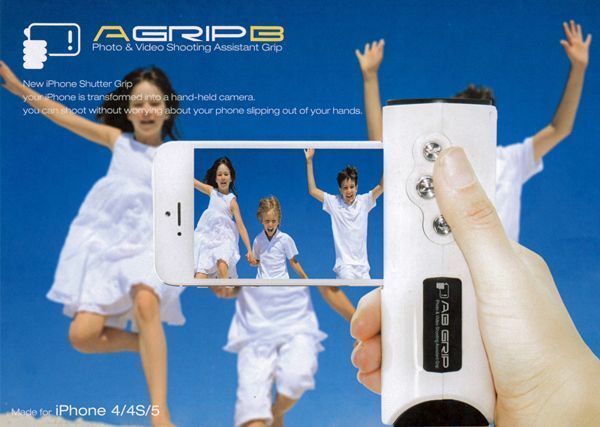 The AB Grip has three buttons for video recording, still shots, and continuous picture shooting. The design is quite ergonomic too. Unlike some of the other iPhone grips we have seen, the AB Grip sets you back only $20. Not a bad deal if you ask us. We have covered a number of awesome iPad docks and stands here in the past. The Beauty Station is pretty unique though. 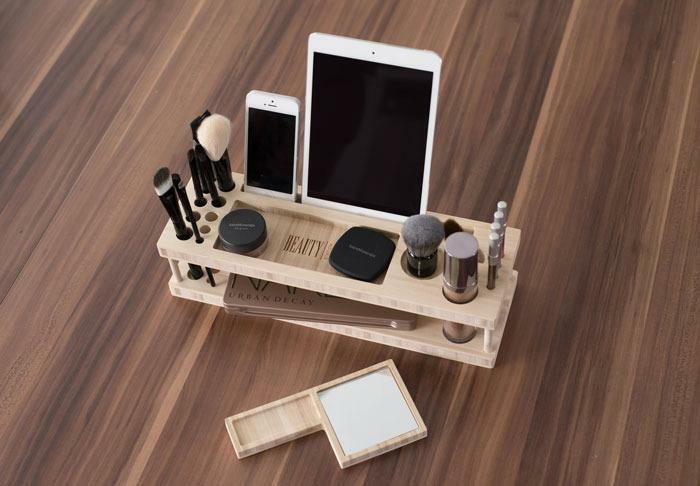 It not only holds your iPad but also serves as a makeup organizer. Its open design provides you with space for over 20 makeup products. The Beauty Station can hold your hand mirror too. 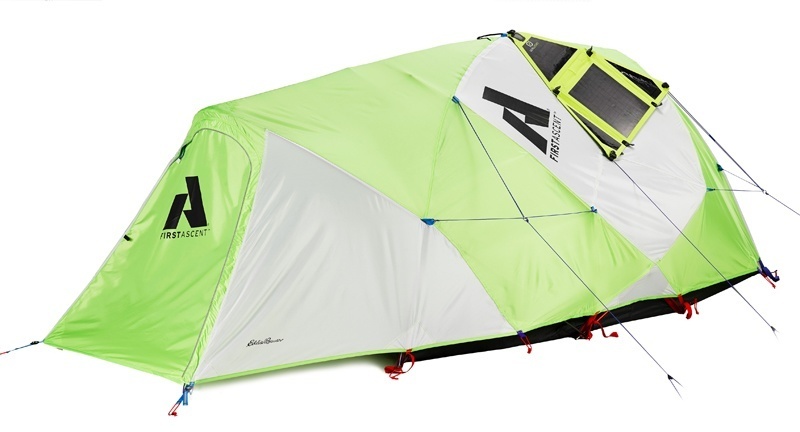 It is handcrafted from natural, eco friendly bamboo, which is a plus. The Beauty Station is currently being funded on Kickstarter. Not a bad choice if you need a modern makeup organizer.